In recognition of their outstanding work in the missions field, Keith (BA ’86; MA ’90) and Kathy Ham (BA ’88) were honored with the Ministry Award at the 2013 Spirit of Hope Celebrity Concert & Awards Gala. The couple has faithfully served with the Christian Missionary Fellowship (CMF) for 22 years. The bulk of those years have been spent in Kenya, particularly the Mathare Valley slum in Nairobi. There the Hams work tirelessly by fostering holistic growth and community transformation. The work Keith, Kathy and their CMF teams perform includes educating and feeding the 10,000 children who live in communities like those found in the Mathare Valley. Through community development, health education and spiritual encouragement, the Hams are able to reach out to the parents and families to provide life and career skills. Training in business and skills as well as church leadership and staff development have helped stunt the effects of poverty. In everything they do, Keith and Kathy speak and epitomize the love of God, characteristics that helped single them out for the Ministry Award. Known for their humility and incredible compassion, they believe that when people are loved, they are more open to accepting God’s love. Communities the Hams have touched in Kenya have formed prayer and study groups and founded churches. Through their efforts in Kenya, living conditions have been improved, jobs created, families strengthened, communities developed and churches have come alive. The Ministry Award also includes induction in the HIU Ministry Hall of Fame. This unique honor has been bestowed on only a select few who have gone above and beyond to exemplify Hope’s mission to serve the Church and impact the world for Christ. 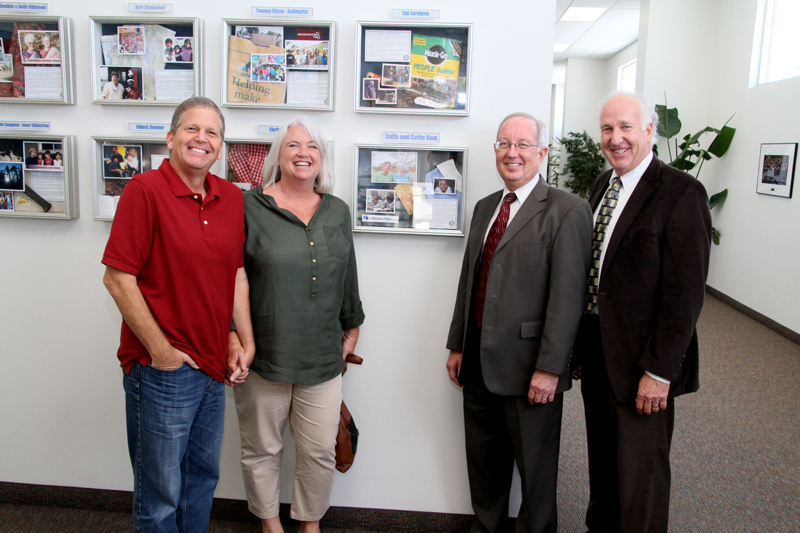 The Hams were presented with a shadowbox display by Dr. Derry, President of HIU, and Steve Alley, Chair of the Church Ministry Department. The Ministry Hall of Fame resides in the Lawson-Fulton Student Center and serves as a reminder of the many ways that alumni are fulfilling Hope’s mission as selfless servant leaders.